Stay true to your commitment to offering more environmentally friendly cleaning products with our wide variety of eco friendly commercial cleaning solutions. At Alpha Chemical, we offer an extensive selection of green cleaners which deliver optimum results with a minimal environmental impact. Here at Alpha Chemical, we’re committed to providing our high quality cleaners to companies who strive to lessen their impact on the environment. 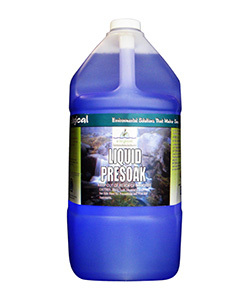 Our product line of environmentally preferred cleaning solutions includes automatic dishwashing detergents, floor maintenance products, general purpose cleaners, laundry detergents, manual dishwashing detergents, oven cleaners, presoaks, rinse aids, and more! If you aren’t able to locate the exact product you’re searching for, just contact us and we will be happy to discuss our custom solutions and work with you to develop an environmentally preferred cleaning solution that suits your unique requirements. Non-chlorinated powdered detergent for use in automatic dishwashing machines. Metal Safe, effective in all water temperatures. Recognized for Safer Chemistry by the EPA Design for the Environment (DfE) Program.